Kurt Dahlin was raised in Venice, California as one of eight children. As a young man he enjoyed outdoor adventures, one of which led him to Costa Rica on a surfing trip. A yearning for travel quietly crept into his life, and as he experienced the world he became increasingly concerned with humanitarian needs. On one trip in September 1994 Kurt traveled around Southern Malawi, meeting community leaders and indigenous village elders. At the time, Malawi was ranked as one of the poorest countries in Africa. He was struck by the painful daily struggle to obtain safe drinking water. Young girls were walking several hours a day to find diseased water, and carry 40lbs. buckets on their heads. His heart broke and was compelled to bring the treasure of water to a thirsty people. 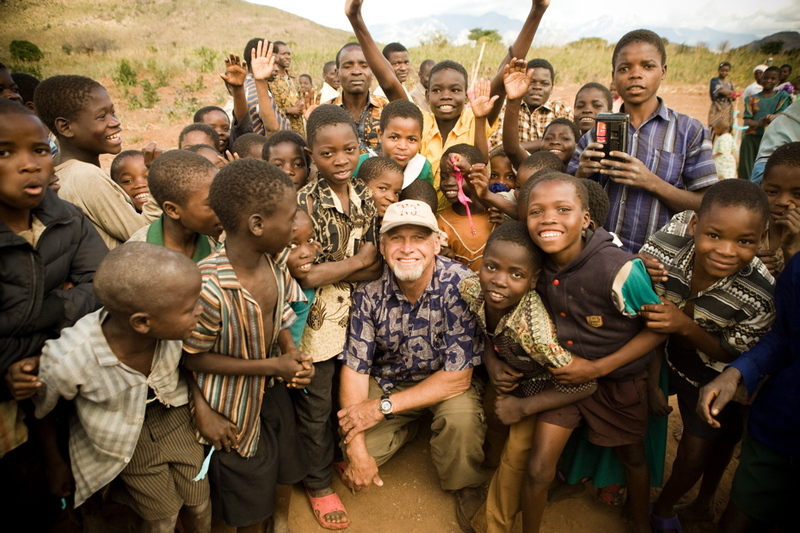 This experience soon shaped Kurt’s “Water Wells for Africa” (WWFA) project. In May 1996, the Water Wells For Africa project installed its first borehole well in Mchiwa/Mulanje district, with donations from actors Charlie Sheen, Carey Elwes and Hollywood stuntman Eddie Braun. Seeing the transformation of a village through a simple well was a euphoric accomplishment for everyone involved. As the project gained momentum priority was given to the poorest communities and to the most vulnerable regions of Southern Malawi. Basing its efforts in Manhattan Beach, California, the Water Wells For Africa project continued to grow. By the end of 2000, the project had brought clean water to 26,000 people. In the next six years that number increased 500%. In 2006, an annual report noted the project’s next major accomplishment, “We are thrilled to say that over the past ten years our effort has led to 76 wells being opened allowing access to disease-free water in rural villages throughout Malawi.” After a decade of first-hand experience with the daily struggle for water and the drastic improvement made by water wells, Kurt Dahlin wanted to do more. He would soon kindle fresh motivation from one man. It was Feston Singano who sparked Kurt’s desire to start WWFA’s largest project at that time. Singano was the Chief Village Headman who oversaw 900 families that had been displaced due to lack of water in their ancestral lands. They would need 4 wells in order to return. Unfortunately, the Water Wells For Africa project only had funding for 1 well. However, moved by Singano’s plea, Kurt uttered what would become his new personal mantra, “I will be your beggar.” At that time Kurt vowed to do whatever it would take to help the people of Mpungatete return to their ancestral soil. It was time for the Water Wells For Africa project to seek a new direction. With fresh resolution Water Wells For Africa officially incorporated as a 501(c)3 nonprofit in March 2007. Many of those involved from the project’s inception helped make it reality. The dearly held values of the project fueled WWFA’s core mission to provide adequate supply of clean and safe water to rural African communities where none existed. New support immediately began to surface. As of 2014, WWFA has effectively brought sustainable water to over 260,000 people. According to the annual well inspection survey, 97% of WWFA wells are in operation. This figure includes hand pumps that were installed in 1996 and 1997. Now standing as one of the earliest water projects operating in Africa, we are confident that our mission, values and work—with an emphasis on maintenance training and community leadership empowerment—will keep each project operating for a generation.